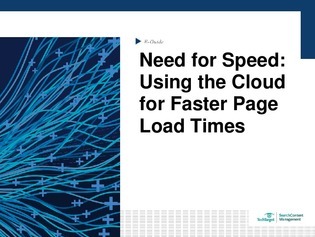 What’s your plan to ensure that image-laden pages load quickly on your site? Do you have a plan for desktop users as well as mobile devices? A slow load time will lead your users to visit other sites, which is what Concourse Media – which covers juicy stories including Johnny Depp and Pac-Man Jones – discovered when its images loaded slowly.